Terra Tech flooring is a superior portable roadway/ trackway system tough enough to withstand impact from vehicles whilst providing premium grass protection. Quick and easy to install and accommodates uneven ground thanks to its interlocking hexagonal shape. Protect the ground and create a solid underfoot surface. 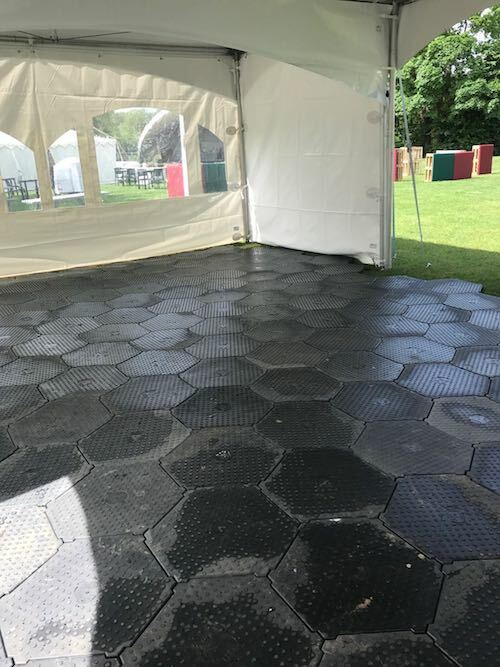 Ideal for pathways, marquees, car parks and all event flooring needs.